The kit is just an option for people who would like to have it. You do not need to have the kit to come on any of our rides. 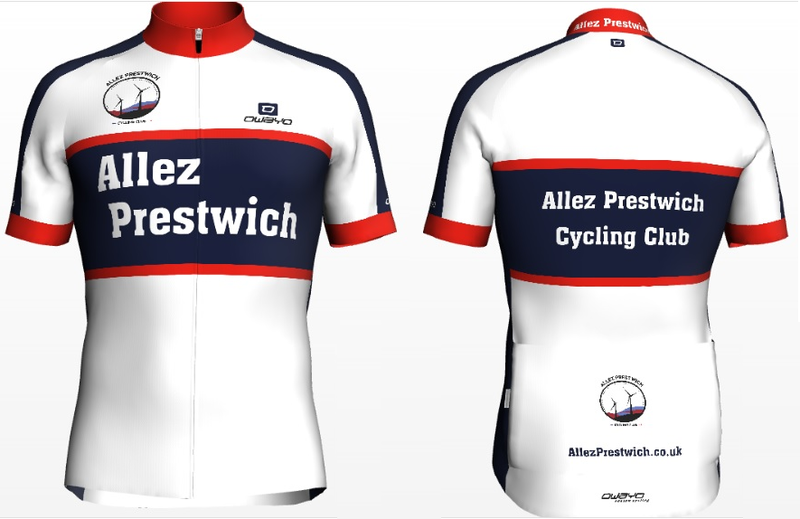 Please note, the Allez Prestwich text is actually centered in production and there are some very slight tweaks in the jersey design. See the ForceGB page for the actual design. The bibs are a fairly standard fitting but it would be worth checking out the sizing guide for the bib shorts too. If you’re really unsure, then ask what our current members are wearing and they may even let you try them on for size. We can’t be responsible (nor can we refund someone) for someone ordering the wrong size, so err on the side of caution.